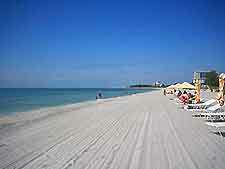 Sarasota is located halfway along the west coast of Florida and buffered by a string of scenic Keys. 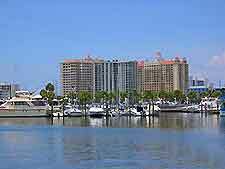 The city of Sarasota is a popular seaside tourist destination known for its quality beaches and restaurants. 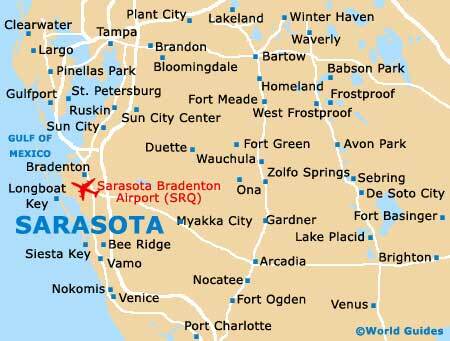 Well fed by Interstates and US highways, Sarasota features its own international airport, while regular trains and buses provide alternative travel options. Sarasota also comes with good visitor facilities and a number of visitor information centers and bureaus as well as plentiful travel agencies. Although you can get all the information on Sarasota's attractions that you need from the glut of excellent visitor and travel information offices in the city, there is no substitute for clueing yourself up on the area before you travel. The Internet is awash with information on Sarasota, with a number of excellent travel guides on the city as well as hotel and travel booking services. More than 300 different languages are spoken throughout America, with many languages that are specific to the area. English is the most common language in most cities, including Sarasota, Florida, although many nationalities are well represented in Sarasota. Before traveling to Sarasota, Florida, check with your nearest embassy or consulate whether it is necessary to obtain a visa. Numerous visas for travel into Sarasota and throughout America are available and Sarasota tourists generally require a non-immigrant visa permitting temporary stay. A number of different non-immigrant working visas are available for Sarasota, Florida and throughout the USA. 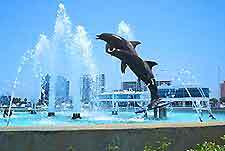 Working in Sarasota without the relevant visa is against the law and harsh penalties are enforced. Tipping is commonplace in Sarasota, Florida and throughout America, although it is only necessary when the service is considered at least satisfactory. Most Sarasota restaurants are tipped around 15 percent, unless service charges have been included in the bill. Hotel staff and taxi drivers in Sarasota also expect some kind of gratuity. Most states in America operate a sales tax of around seven and eight percent on goods and services. Sales tax cannot be reclaimed by Sarasota tourists upon departure, unless the relevant Sarasota working visa is held. Americans and locals in Sarasota, Florida have accepted smoking in public places for years with no fuss, although these days things are quite different. Smoking is no longer allowed at most eateries and on all forms of Sarasota's public transport system.